Friends are people of all backgrounds and walks of life who have found that their lives were meant to be lived in the light of Jesus Christ. When they yielded their lives to His control, He brought the purity, peace and joy they had always longed for. Having found peace through Christ, Friends feel a deep desire to gather together and to spread His blessings with one another and to spread the good news to everyone. 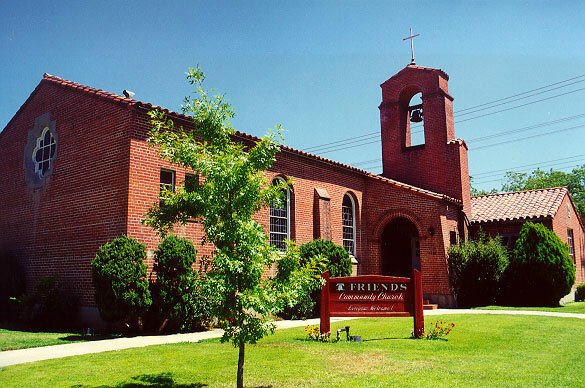 We at Sacramento Friends Church are one such fellowship. We invite you to see for yourselves how good it is to know and follow Jesus Christ. We believe that the entire Bible is inspired of God, that it is trustworthy in all that it teaches and that it can be rightly interpreted and applied to us only by its Divine Author, the Holy Spirit. We believe in the full deity and humanity of our Lord Jesus Christ, in His virgin birth, in His sinless life, in His miracles, in His vicarious and atoning death on the cross for our sins, in His bodily resurrection, in His ascension and present reign at the right hand of the Father, and in His personal return in power and glory to raise the dead, judge the world and make all things new. We believe that man receives salvation through faith in Jesus Christ and that the presence of saving faith is revealed by a life lived in obedience to the will of God. We believe that for the salvation of the lost, sinful man, regeneration by the Holy Spirit is absolutely essential. We believe that the essential baptisim is that of the Holy Spirit, in which all who participate become members of the body of Christ. Christ came to fulfill the law and left no continuing rites as means of grace to be binding upon Christians. We believe in the peaceable kingdom of our Lord and Savior Jesus Christ who, by His teaching, example and Spirit within us, gives us power to overcome evil with good and hatred through love. We believe in the present ministry of Jesus Christ, who teaches, empowers, perfects and governs His people by means of His Holy Spirit in their hearts so that they obey and follow Him in spiritual unity.